WELCOME TO ROSEWOOD ESTATES!!! LISTINGS IN THIS BUILDING ARE SCARCE. 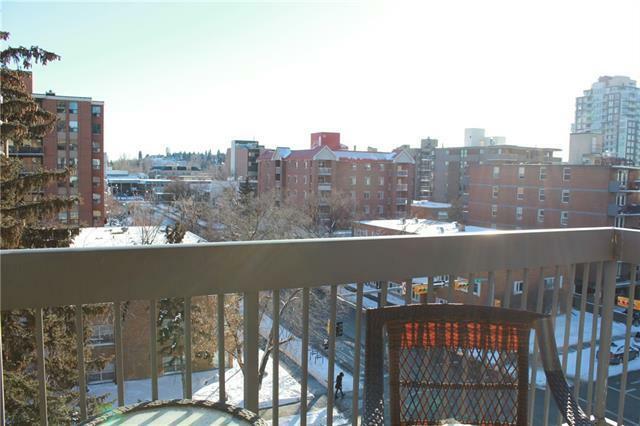 This large updated 1150 sqft (builders size), RMS 1067 SQFT corner unit, on the 6th floor has 2 bedrooms, 2 bathrooms, CENTRAL AIR THROUGHOUT, recent renovation. 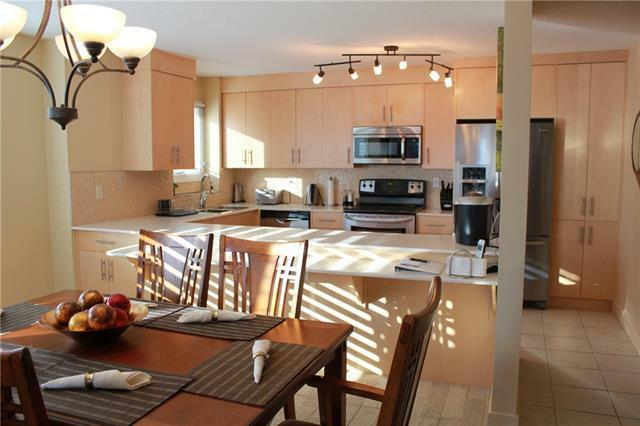 The luxurious kitchen boasts maple cabinetry, a sit up eating bar, stainless appliances. Dining area is bright, open to the living room with a wall of windows providing tons of natural light. 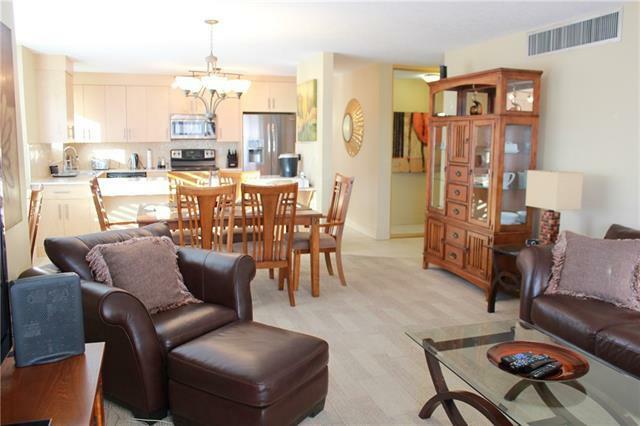 There are 2 large bedrooms, the spacious master has a 3-piece ensuite (RARE UPGRADE) & a walk-in closet with organizers. Sliding glass door off of the living room accesses the wrap around balcony, south facing, high up for a great view, perfect to sit out and have your morning coffee, or evening night cap. LOW CONDO FEES OF $563/MO INCLUDE HEAT, WATER/SEWER, AND ON SITE MANAGER. In-suite laundry & storage. The Rosewood has a well appointed front foyer and lobby, exercise room, sauna & social room. One assigned parking stall. 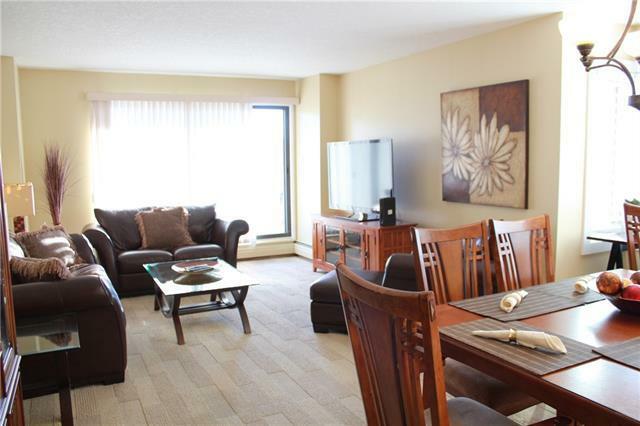 Located walking distance to downtown. #610 540 14 Ave SW.